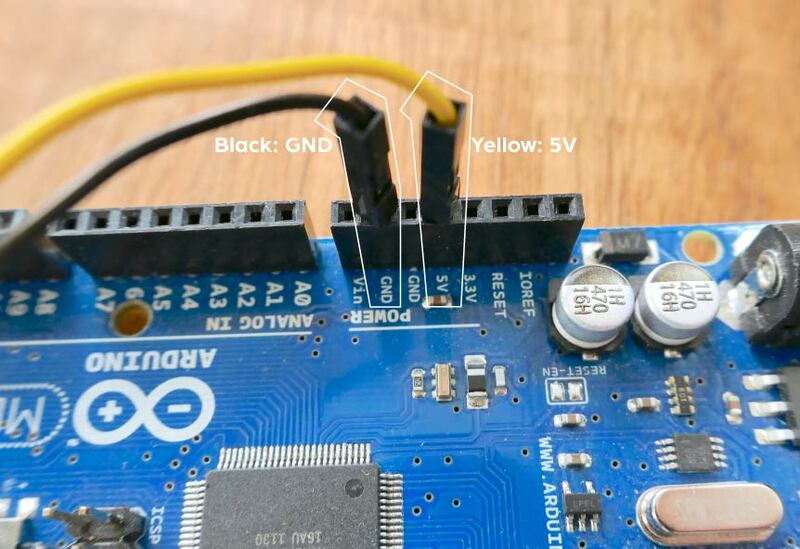 The Morph Developer's Cable is a simple accessory that connects the Morph's micro USB to the serial UART pins of an Arduino MEGA microcontroller. 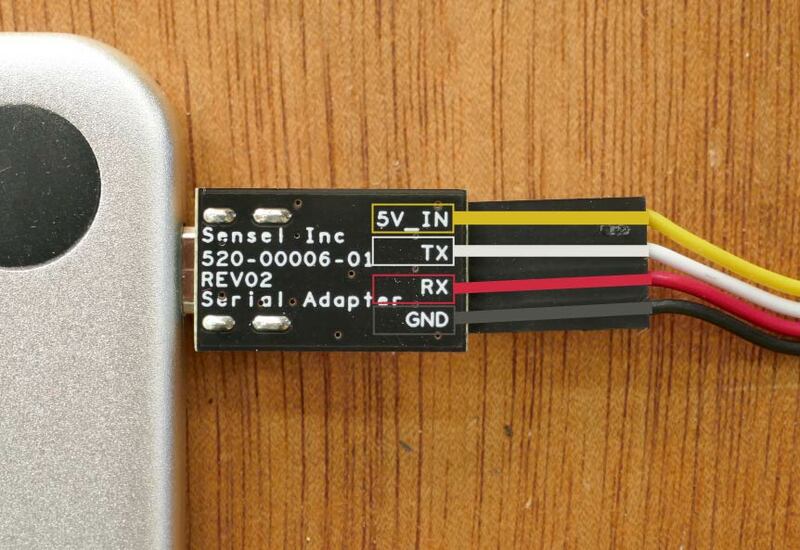 This simple connection allows developers to develop prototypes of products that do not depend on a fully featured computer, but instead run on a simple microcontroller and basic power supply. 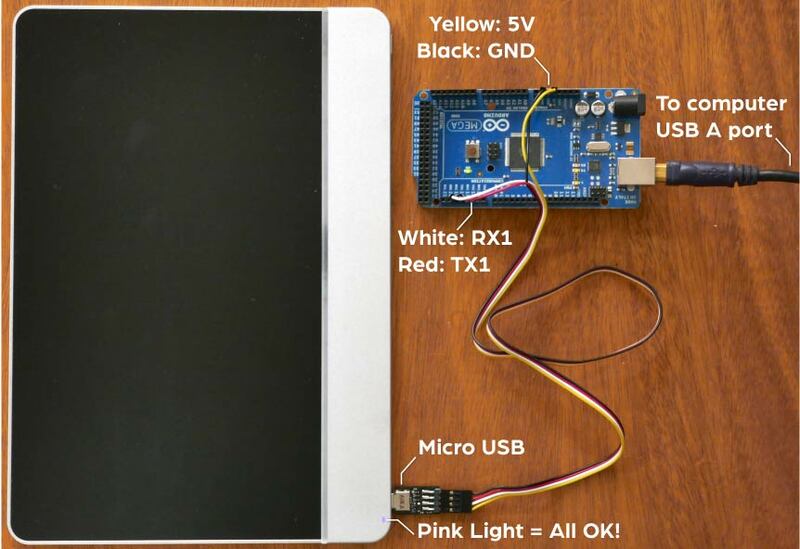 You'll need at least a few things on hand to start experimenting with the Arduino API. It is VERY IMPORTANT TO CHECK YOUR CONNECTIONS. If you make a mistake and connect Ardunio power to the Morph's Serial connections, YOU MAY DAMAGE YOUR MORPH beyond repair. If you want to run the Arduino without a computer, you'll need a power supply connected to the barrel jack on the Arduino. Connections from Developer's Cable to "Serial1" on Arduino MEGA board (pins 18 and 19). Connections from Developer's Cable to Arduino MEGA power supply. These instructions assume your hardware connections are all correct. 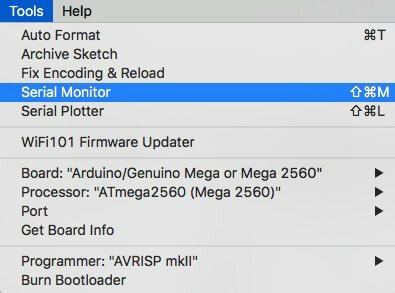 Download and install the Arduino IDE on your computer, following the installer's instructions. 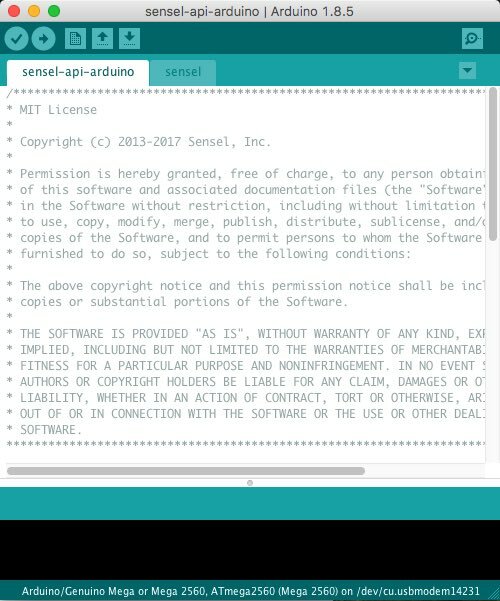 Download the Sensel Arduino API and move the expanded folder (usually expands to the folder name sensel-api-arduino-master) to your Documents/Arduino/libraries folder. This will vary among operating systems, but it is found in the User/Documents folder, unless you have configured the IDE otherwise. 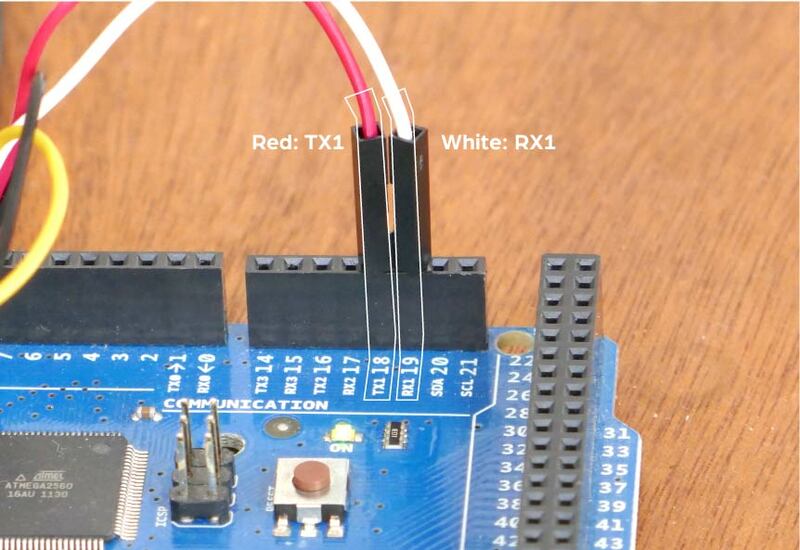 Open the Arduino IDE application. Find the file sensel-api-arduino.ino in the sensel-api-arduino-master/senselpapi-arduino folder. Double click to open it. You'll notice the sensel.ino tab is also visible - that happens automatically because the file is included in the sensel-api-arduino.ino sketch. The MEGA and DUE boards have dedicated hardware serial support. We found that the Arduino SoftwareSerial, which is needed to support a broader range of Arduino boards, was not up to the task of high baudrate, high bandwidth data coming from the Morph. Here are some common errors that may be reported in the sketch window. Sketch uses 5108 bytes (2%) of program storage space. Maximum is 253952 bytes. Global variables use 1461 bytes (17%) of dynamic memory, leaving 6731 bytes for local variables. Maximum is 8192 bytes.